Hi. 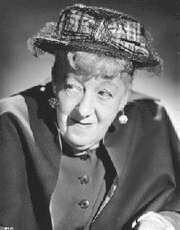 Can anyone tell me who was the first person to play Miss Marple on film or tv. My friend reckons it was Margaret Rutherford but I think I've heard that there was someone before that. There's 50p riding on this! !